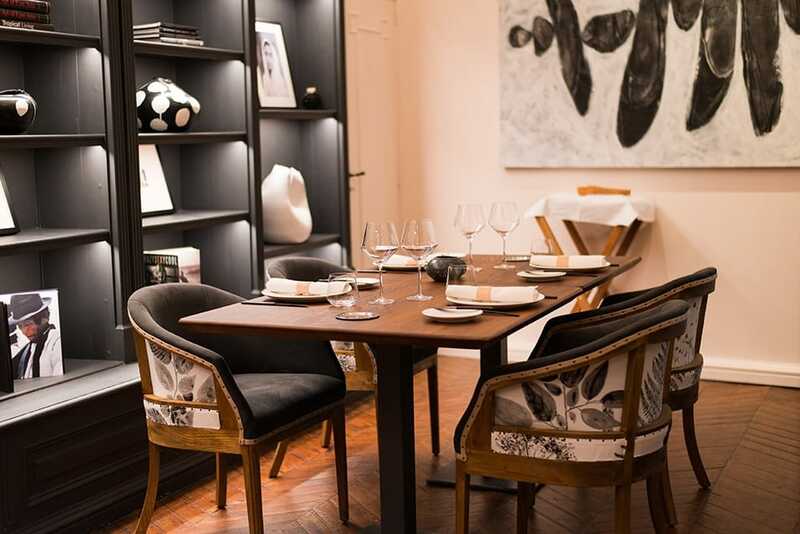 Gastronomes and art-lovers will feel their spirits soar as they enter the spacious environs of fera. 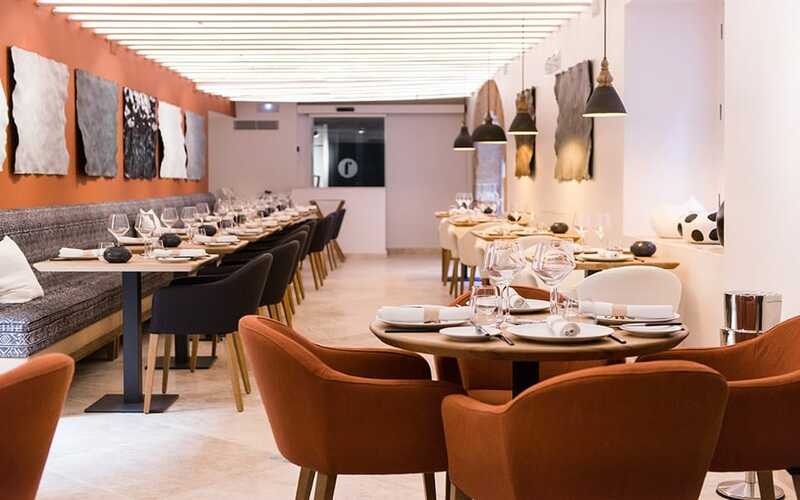 It’s difficult to decide why the restaurant is so glamorous; whether the fact it’s housed in a restored city palace, shares the building with the oldest and most distinguished social club on the island, or its position on Palma’s highly regarded golden mile. There’s a positive pulse in the atmosphere; an energy which interior designer and co-owner, Sheela Levy, has enhanced with her application of Feng shui philosophy. Everywhere you look, there’s some eye-catching manifestation of creativity. Work by local contemporary artists, who have achieved international recognition, adorn the walls and shelves. Their paintings, photography and sculptures are all part of the sensory experience. 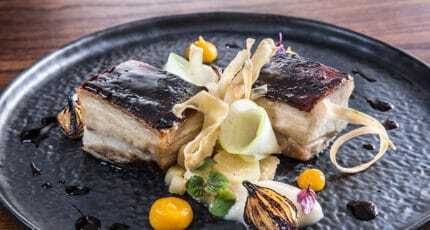 Austrian chef, Simon Petutschnig, accepts the challenge of awakening your senses further. 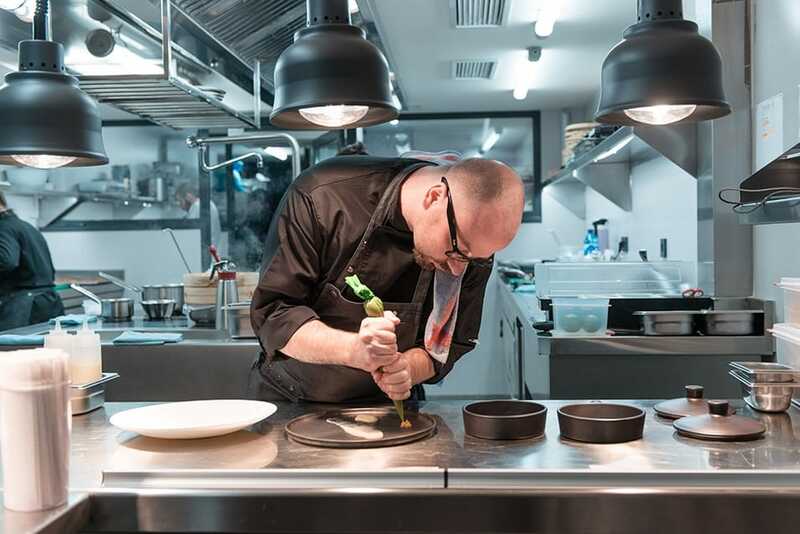 The success of leading restaurants Quadrat at Hotel Sant Francesc and The Kitchen have been largely down to his creativity in the kitchen. 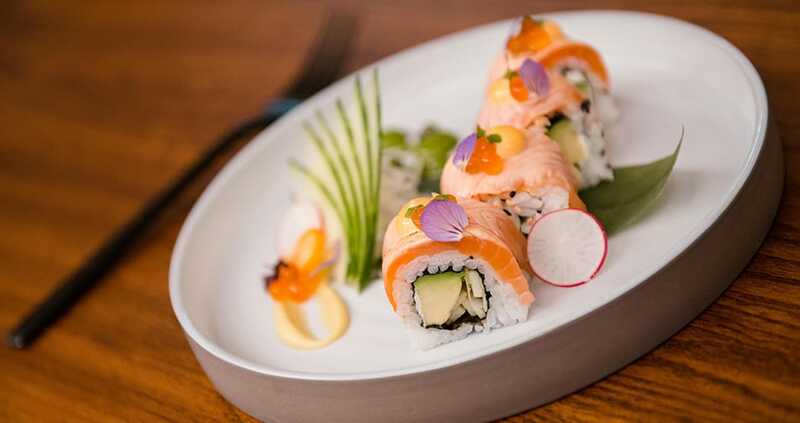 His specialty is Mediterr-Asian cuisine, and his delectable dishes inspire with their presentation alone. The three-course lunch menu changes every two weeks, and is a wonderful way of immersing yourself in the flavours and style of Petutschnig’s delicate cuisine. 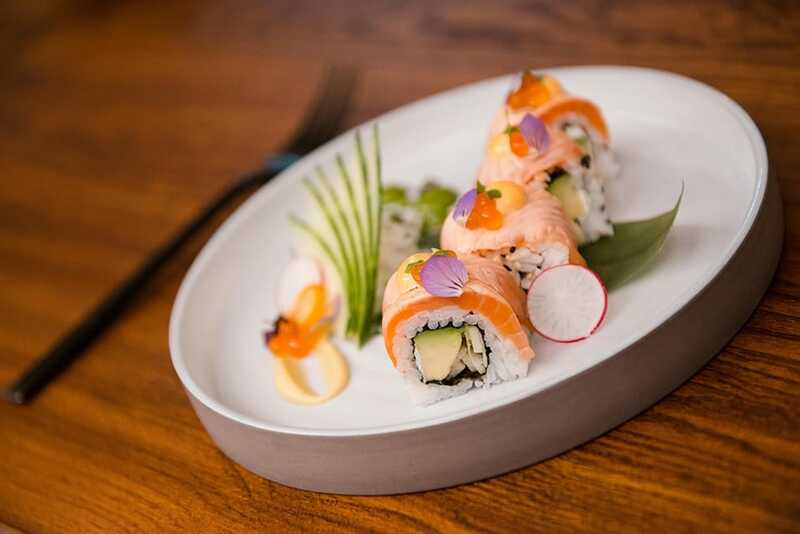 An a la carte menu is also available, with popular dishes such as the California roll with crabmeat, or hake in green sauce, turning first-time customers into regulars. A wine list of over sixty specially curated wines is another draw of this premium dining experience. 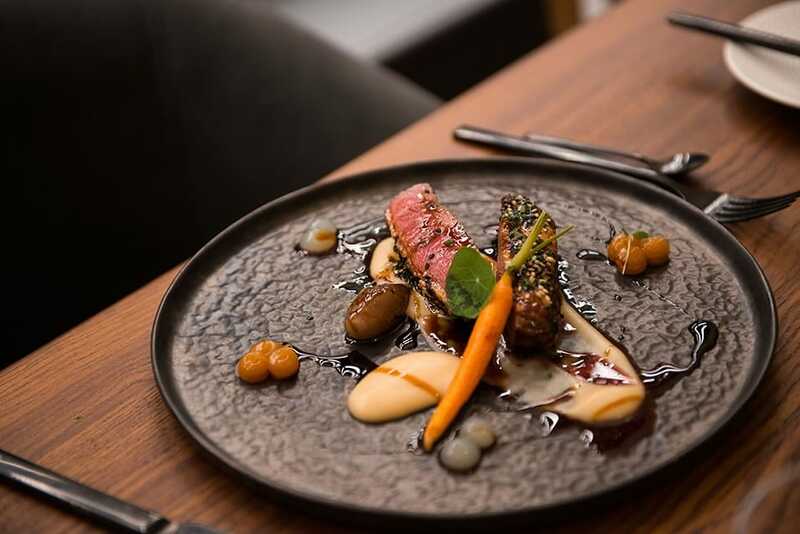 Fera can be whatever you need it to be; a tranquil and sophisticated escape during the day, or an energising and stylish setting for the evening. 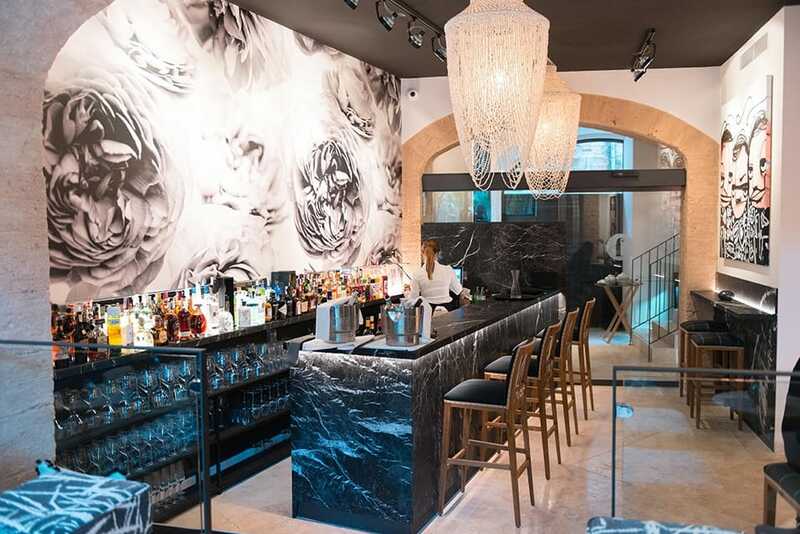 For the gourmets and the cocktail connoisseurs, the oenophiles and the artists, Fera proves that exploring Palma’s historic flag stone streets can lead you to real gems. Beneath the shell chandeliers from Bali and striking installations: a romantic date, a reunion with friends or even a networking meal will become that little bit more special. 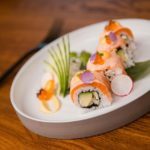 We hope you have found this article about the Brimming with creativity at Fera Restaurant useful and that you have many memorable stays in Mallorca as a result of our recommendations.